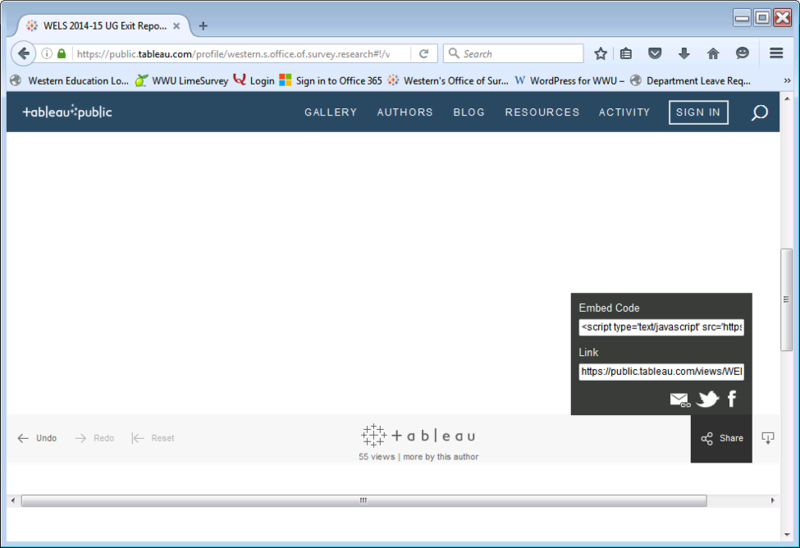 A tableau viz can easily be embedded in a Western WordPress site. Here I describe what worked and a couple of things I tried which did not work. 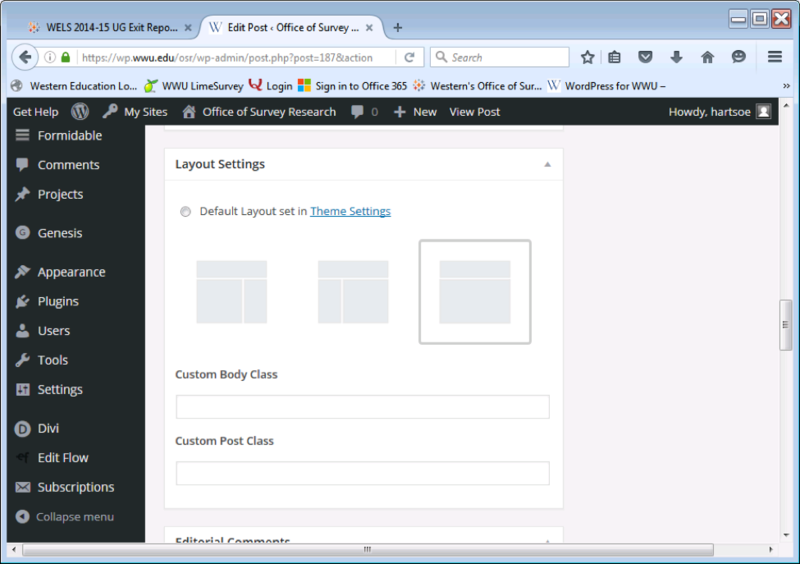 Step 2: Paste it in the text view in WordPress. 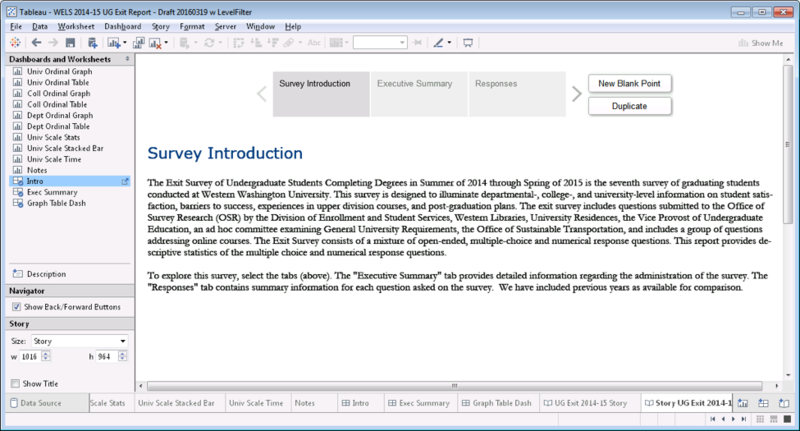 Step 3: Select the layout setting without a sidebar because Tableau does not respond well to crowding. 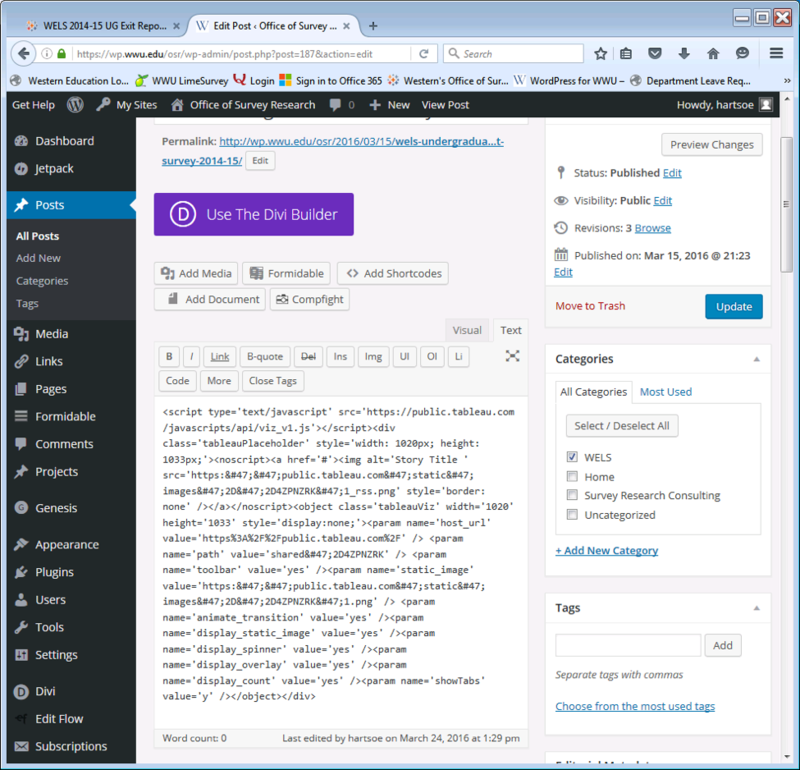 Step 4: If you want multiple views in a single WordPress post, set them up as story points in Tableau. **Note that parameters and filters are not applied or updated across story points, so any views which need to have parameters and filters concurrently updated need to be included in a single dashboard.